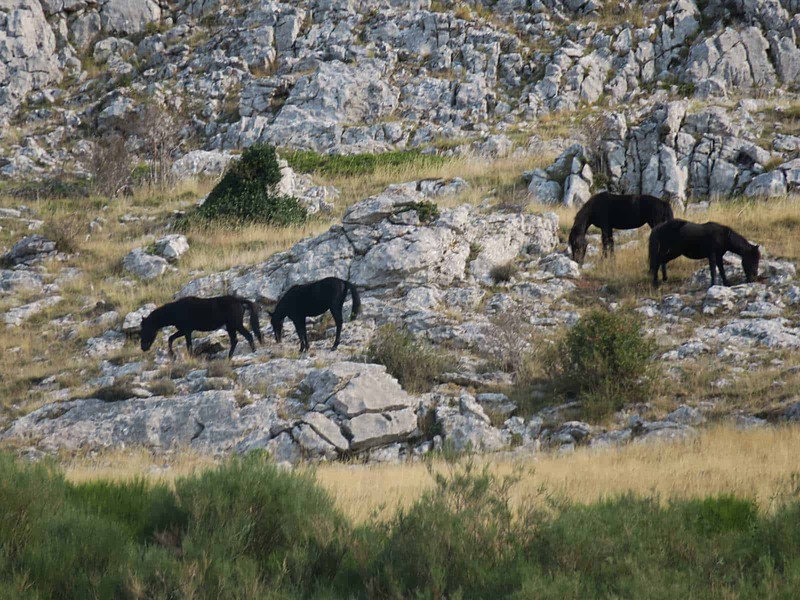 Nine horses of the pottoka breed have been released at Anciles Reserve in Riaño, Northern Spain. The groups consists of three males and six females between one and two years old. 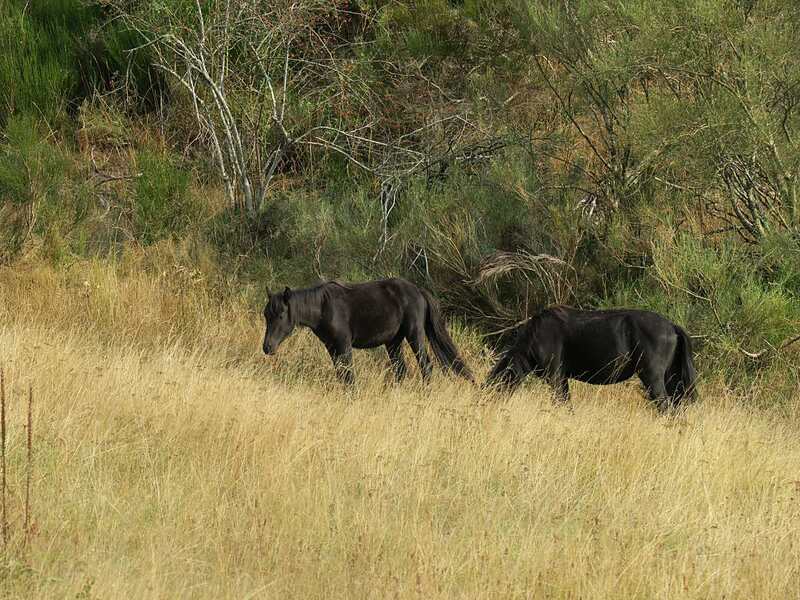 These horses grew up in Piornal (Cáceres), and belong to the most wild herd of horses in Europe. The pottoka were bred in natural circumstances by equine specialist and ethologist Lucy Rees and brought to Anciles with support of the True Nature Foundation. The Pottoka are a horse breed that inhabit these mountainous territories from the Cantabrian Mountains to the Western Pyrenees since ancient times. In these Cantabrian-Pyrenean breeds there are at least six subtypes: the Garrano of Portugal, the Galician horse in Galicia, the Asturcón in Asturias, the Monchino in Cantabria, the Losino in the north of Burgos and Palencia, and the Pottoka that is conserved in areas of the Basque Country, Navarre and the French Basque Country. “The pottoka horses are very friendly towards people”, said forest ranger Luis Pelayo, who assisted with the release. “The horses have currently split in two groups, each with a male, and graze at different altitudes”. The new tenants will share their new territory with five European water buffaloes and four European bison. The horses will be separated for some time from buffaloes and bison by means of a small limestone mountain range. “It is a matter of habituating the animals to this zone. Later they will be able to roam free,” said Riano’s Mayor Fernando Moreno. Buffaloes, horses and bison form independent herds and do not usually graze together. The council of Riaño has already been processed the required documentation so that guided tours at Anciles Reserve can be initiated soon. “We have already requested authorization for the transit of vehicles and a tourist route with off-road vehicles as well as the use of the boat for people to disembark in the valley of Anciles. Visitors will not be allowed to walk independently in order to provide high-quality nature experiences and avoid that people approach the animals. Visits will be guided by a professional field guide who determines the safety distance to be maintained with the animals. “With this initiative the City of Riaño will be creating jobs around this activity, involving companies that want to participate in this project with vehicles and guides”. Moreno indicated that this new nature destination can be extended with other tours in other areas of Picos de Europa.